Your home…. Built exactly how you want it. At Ghiloni Custom Builders, Inc. that’s our promise to you. And we even go a step farther. We will use our experience, passion, and expertise to help you determine exactly what it is that you want. Through our collaborative design process and during construction, we will open your eyes to the possibilities for your home. No matter how you prefer to customize your home, Vince Ghiloni and our team is eager to assist. Over the course of more the 34 years and 200 custom homes in central Ohio and West Virginia, our company has established a reputation for high-quality construction, attention to detail, and personal service. We look upon the design and building of your home as a creative process. Whether you come to us with a full set of construction plans, a scrapbook full of ideas, or a blank sheet of paper, we work with you as a team to create the home that you desire. We stay on top of new trends in home building and keep up with the latest product developments, so we are never short of ideas on how to make your home special. You the Homeowner become a part of the team. Cut out pictures from magazines. Search the web. Drive through neighborhoods and take pictures of homes or details that catch your eyes. Show us what you want and we can do it. We design your home based on what you like. Vince and his team will be there every step of the way as you determine how you want your dream home to take shape. Ghiloni Custom Builders, Inc. understands how critical it is that a customer’s budget fits into the building process. 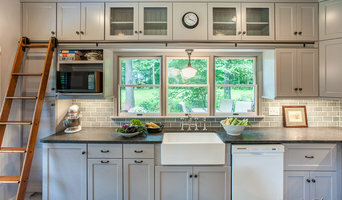 Vince is known for their flexibility in working with his clients to achieve their dream home while staying in budget even if it means redesigning or modifying his or another architect’s plans. “We try and make every home unique and different from any other”. Vince’s philosophy on building and remodeling homes is simple. “We work as a team and a big part of the team is the homeowners themselves. We keep our clients excited about the homebuilding process and we feed off that energy to do our work. By the end of the project, most of our clients become very good friends of our family. This is the most rewarding part of our job”. 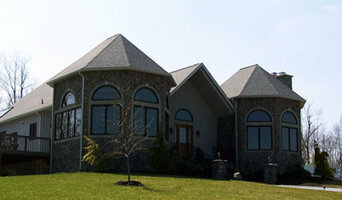 Gibraltar Custom Builders is one of Granville, Ohio's leading building companies. Proving that customer service and fine craftsmanship are key to thriving in this industry. In October of 2004, Brett Black started Gibraltar Custom Builders to follow his dream of building uniquely designed projects of timeless beauty with old fashioned craftsmanship. With over twenty years of experience in the building industry, Brett has a passion for pleasing others. He takes a lot of pride in seeing that the needs of his clients are fulfilled through the entire process. Brett has lived in the Granville area for over 10 years now with his wife and four children. 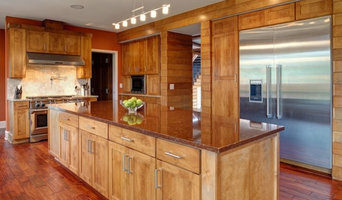 At Gibraltar Custom Builders, we can build projects from your own plans or design it from scratch for you. We specialize in all residential and light commercial construction. Gibraltar Custom Builders can build your dream home for you in a subdivision or on your acreage. If you'd like, we can add on to your existing home or remodel it completely. We even do historically accurate period reproductions! Flexibility and understanding your needs are our top priorities. It is our passion that we present ourselves as more than just a builder, but become like family to our customers as we get to know one another throughout the process. We are very proud of the reputation we have built for our quality work and service. We consider building the relationship with our client every bit as important as building the project. It's more than customer service, it's genuine customer care. We are a small design build company. We specialize in providing the attention to detail necessary to solve our clients' needs in high end environments. From kitchen and baths to laundry rooms, to whole home solutions, we can design and build your dream space. 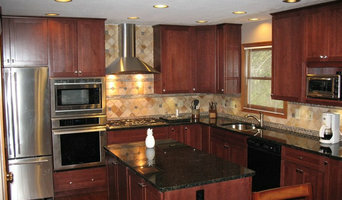 Remodeling & Design company specializing in Kitchen, Bath, & Basement remodeling. TAC Systems, LLC is an advocate of the "Not So Big" philosophy as seen in national publications and television talk shows – "Build better, not bigger". Our mission is to provide quality building plans that turn our Client's vision into drawings that are "user friendly" and building code compliant, meeting or exceeding expectations. Endeavor to incorporate sustainable design methods into the plans which are not only functional but also beautiful. We conduct ourselves in a manner that creates trust and confidence with our clientele, and we want to be an asset to out community and the building industry. Masonry and concrete specialists offering a design/build service for all of your custom masonry and concrete projects. We specialize in stamped and decorative concrete, custom stone and brick work, and concrete countertops. A & R Builders is a design build firm servicing Millersburg and surrounding areas. Home remodeling, improvement, and repair. Before deciding on a design-and-build firm, think about what you want from your new home. Do you want a large kitchen for entertaining? Do you need several bedrooms for children and guests? Do you want a finished basement for extra space or storage? Look for aOhio design-builder who specializes in the areas you're looking for. Budget is obviously a determining factor in the outcome of your project. To make sure you stay within your means, consider making a must-have list and a wish list. Gauge where the estimates are falling to determine which design-and-build contract can realistically strike the balance between the two. Find a design-build firm on Houzz. 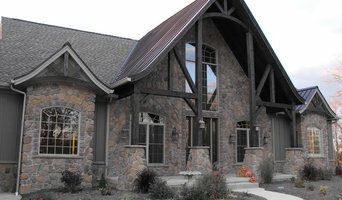 Narrow your search in the Professionals section of the website to Dresden, OH design-build firms. You may also look through Dresden, OH photos to find a pool you like, then contact the design-build firm that created it.